Each of us is the source of others wisdom and we should be reminded constantly of Yoga and to live in perpetual present tense. Kriya Yoga is the Yoga of action and it can be interpreted and practiced at different levels. It is just like aligning the opposites in manjust like in a manner of a binocular vision. If we could close our right and left eyes alternately different images oscillate; but with both eyes open wee see things in depth.Kriya Yoga therefore is a revelation of your capacity to see things in depth.There are many Yoga Sampradayas in the ancient land of India. Primarily, Raja yoga, Astanga Yoga, Kundalini Yoga, Hatha Yoga, Karma Yoga, Bhakti Yoga and KriyaYoga are some of the modifications. “Tapswadhyaya Eeshawra Praneedharani….” is the statement of Patanjali Yoga Sutras, Kriya is a mental initiation and this mental action should be supported by Yama, Niyama, Asana, Pranayama, Pratyahara, Dhrarana, Dhyana and Samadhi, which are the real essences of Yoga. Man’s yogic conduct is determined by the highlights of Astanga Yoga. Any vision and visualization is a product of ones perspective and it is a mental Kriya. Mental Kriya is a powerful energy dynamic. Some of the mental activities have to run parallelly, systematically in order to bring about a perfect harmony and energy flow in man and this is based on the need to be in continuous state of quietude. A mans primary duty acc to Kriya Yoga is to unshackle himself from the bonded life and see the eternal truth. Yoga therefore has sufficient reason to solve the puzzle of life and to drive the attention towards the truth. Kriya Yoga has cleared the ground long ago. As modernity has arrived, there is change of lifestyle and the campaign against ignorance has become stronger to cause expansion of knowledge of nature. Even though science has progressed dramatically, it cannot touch the values and life giving belief system of human beings. However in the Age of Reason one would make appear people to be sane, it is still a myth overshadowed by superstition that the human mind has embraced, Directly Yoga deals with a functioning belief that the essential nature of man is divine. There is a need to revive the processes connected to Kriya Yoga in a powerful way with a functioning belief that the essential nature of man is divine. 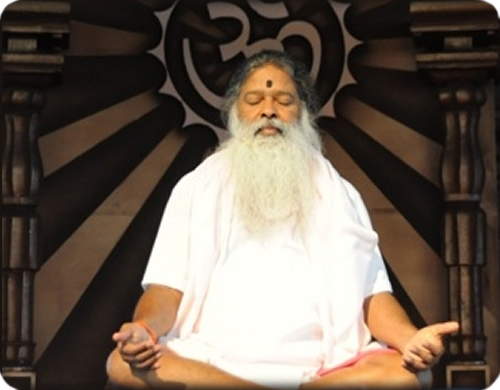 There is a need to revive the processes connected to Kriya Yoga in a powerful way with the help of Yogic personalities. Yoga deals with invisible which science cannot touch. The full range of reality (Yogic truths) is a subject of higher intuition which nature alone has to bestow. Is it possible to be in durable peace and harmony? There are forces of contraction and repulsion in the mind and the life supporting systems are getting out of balance. We need to understand these subtle ‘co-incidences’ forcibly and heed to the warnings of Yogis and Prophets withoutejecting the baby with the bath water. How to deal with day-to day life? There are many spiritual traditions in the world which you can follow and deserve. Today Yoga is accepted as a scientific and systematic study by the East and West. There is little possibility for misunderstanding, misconception and misinterpretation. There are 2 approaches-one is a committed approach and the other is a non-committal approach. Committed approach means, a conscientious man will not escape from life, he accepts it much more completely than those whose pleasures are tinged with anxiety and whose defeats are embittered by regret. Carefully, devotedly, wholeheartedly, he does divide between a chosen activity and what is done as a necessary chore. All Kriyas become important and vital for a Kriya Yogi. Sri Swamiji began teaching for small groups in Jammu, Vijayawada, Mysore and else where in India. Strikingly, He exhibited a daringness that was visible in the classroom because of a spiritual depth, He spoke about- Yama, Niyama, Asana, Pranayama, Pratyahara, Dharana, Samadhi, etc. He also talked about the Nadis, Mudras and the power indwelling spirit as Shakti. He was stressing on the need for Hatha Yoga very much to acquire a suppleness and flexibility of mind and body. He also spoke about the non-dual nature between matter and spirit. In substance, the Kundalina energy that has been spoken off since ancient times is supportive of conscious development to a certain kind of realization. There is an unusual charm and energy in Him. His intention in the class was to share that experience through energy even though not all could understand and perceive it. There by Swamiji has made caused faith to grow in Yoga in Kriya students. Many of the students have become more peaceful away from anxiety and are practicing Kriya yoga even today after more than 2-3 decades. 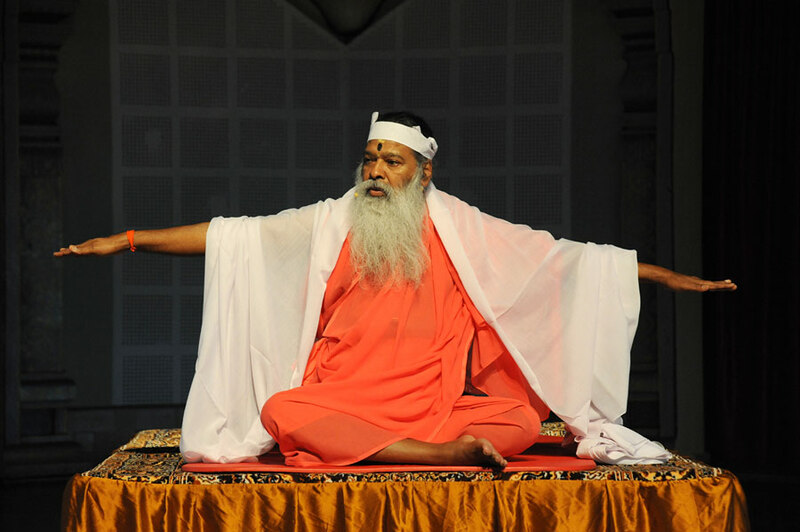 Kriya Yoga according to Him involves using the disciplines of various traditions. The mystic Swamiji is blessed by Almighty Mother with Kriya Yoga by which he is able to achieve He was able to do stupendous tasks which ordinary people cannot perform. He talked about the power of breath ( let the breath take you into the body, breathing in light). He also talked about the creative use of mind focusing on the inner energy fields (charkas) His worship methods during traditional navarathri represent Kundalini Yoga for conscious arousal of energy and pure thoughts. He speaks about the closeness of Mother goddess and yourself and takes you to the portal of the unmanifest power which you can only EXPERIENCE ( Anubhava Vedya). Many of the students could feel the energy in their body and a pure space deep within with less and less external distractions. He urges you to take a deep plunge into the teaching of Kriya Yoga without resistance initiating a student to transcend the body limitations. He suggests meditative way to get in touch with the universal life energy. He Himself lives day-to-day perhaps in an absolute stillness, yet performing all other external activities perfectly. He has respect for the daily duties of man in this physical universe and tells not to differentiate between world and the other world. Students have reported that there is deep sense of peace in then somewhere in background, which they cannot express. There is a stillness of mind no matter whatever happens out in their life. They are ready to face external challenges with more power and they have developed a respect for Yogic teachings. Swamiji has spoken about the inner body portal, the dream portal and the absolute beyond. Seamiji’s Kriya Yoga is really a spiritual teaching to awaken a student from the body consciousness. Swamiji tells that body is subject to disease, old age and death, but the ultimate real You and I are essentially deathless. Kriya Yoga therefore talks about beyond birth and death getting way from the limitations of body, mind that are changing and illusory. Do not fight with your body which is Karmic Package but you can restructure the body and its fragments by Pranayama and Pratyahara. The deepest root connection for all this a powerful Master. Spiritual practice should be done regularly and this is the only chance in human life to survive as a Yogi. Be alert always; get rid of old patterns; get away from anger; jealousy and defensiveness and the urge to feel limited. Our Temple hosts Kriya Yoga Classes between 5:00 AM and 7:00 AM.